Was born in 1956 in Agua da Pasajeros. Graduated from the School of Fine Arts of San Alejandro and now continues his studies at the Institute of Fine Arts in Havana. As an artist-humorist Jose Luis has been working for more than ten years. His drawings contain the seal of a cheerful, mischievous youth, they are witty and entertaining, even when they are devoted to serious topics. 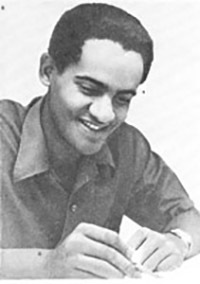 His first success was the victory at the “Spark of Youth” competition, which is annually held by the Union of Young Communists of Cuba and the magazine Palante. Subsequently, he was repeatedly awarded with prizes of the National Salon of Humor “Horacio Rodriguez Suria” and other competitions. Currently, Jose Luis is one of the artists of the magazine “Palante”. Modern Cuban cartoonists. “Soviet Artist”, Moscow, 1982.